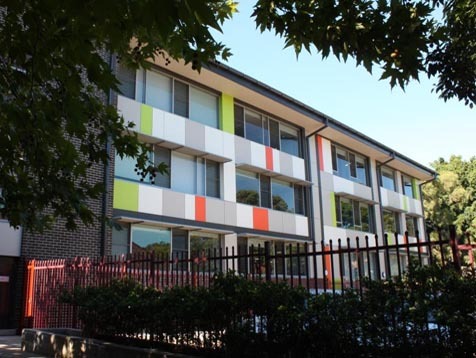 JDH architects were appointed to undertake this $7million stage one upgrade to St Ursula’s College in Kingsgrove. 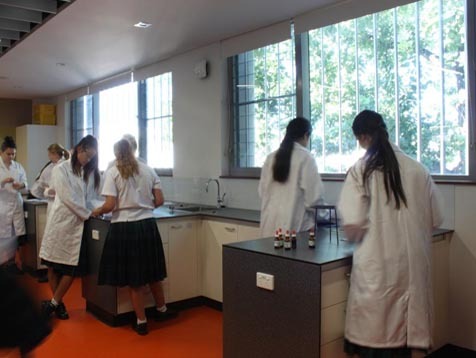 This challenging project included the construction of a new three level building for science laboratories, a library, learning areas and staff areas. The building also contains high-tech audio visual and data facilities that excel this college into the new-age era, providing students with the latest technology to further enhance their learning and future careers. 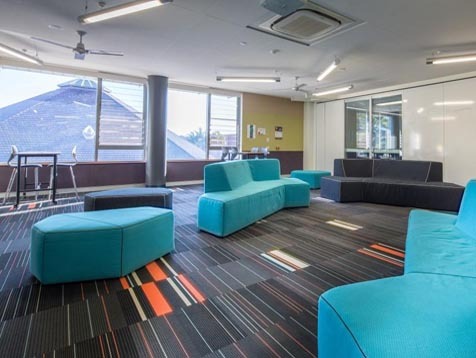 Automated operable walls are incorporated into the learning areas to allow flexibility between classrooms and to enlarge classroom sizes when required. The layout of these spaces is innovative and modern, designed as an open plan with wide corridors, expansive glazing and high ceilings. Breezway Louvre Windows have been installed on external walls as a solution to allowing natural light and ventilation to flow into each classroom to keep students comfortable and provide a connection to nature. 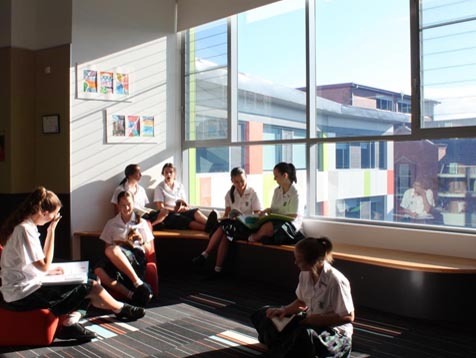 The flow of natural air also helps stimulate the mind, thereby improving productivity and the learning outcomes of the students. Overall this project has delivered a strong commitment to social sustainability by shaping the built environment for the benefit of all occupants on a day-to-day basis.